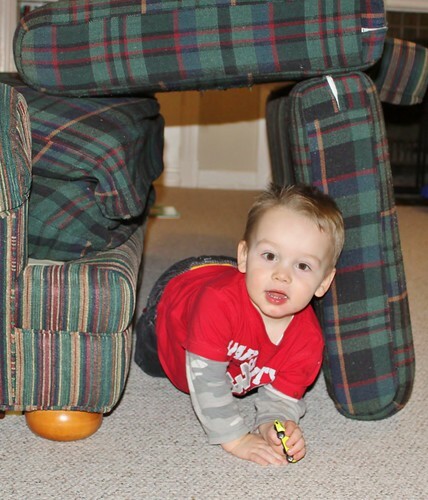 What better way is there to spend a Friday night in with Daddy than building forts and tunnels with couch cushions? 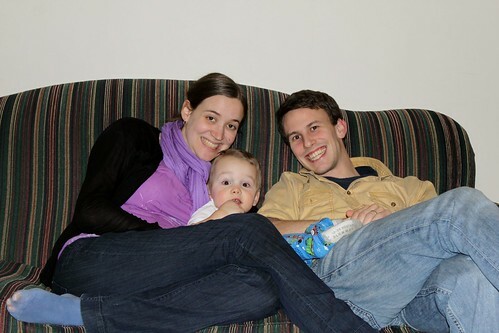 Luke was SO excited to have his beloved "Dabid and Sasah" come to visit him this week. He spent hours playing games, reading books, and just being silly with them. I can't imagine how excited he'll be when he realizes that come next fall, he'll be able to see them any time he wants! Today we visited the library to get out some new books for a little change of scenery. 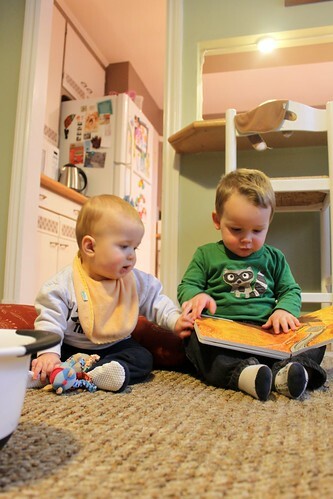 And as soon as Daddy came home from work, the two of them were immersed in books, books, and more books. 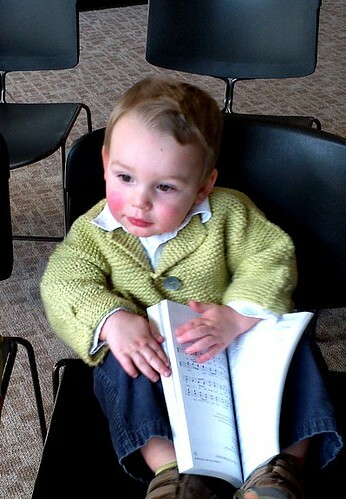 This morning in church when we turned opened the hymnal books for our final song Luke was not to be left out. 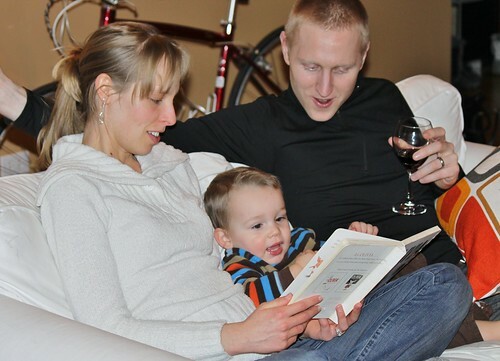 He turned to a random page in his own book and started singing to himself, "No whine, no whine, no whine...."
Now that he is two years old and a bit more rambunctious, Joanna and Kyle were fabulous playmates and kept the little guy entertained all weekend. 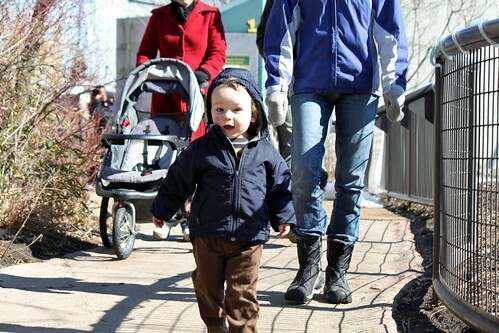 We took Luke to the zoo for the first time. 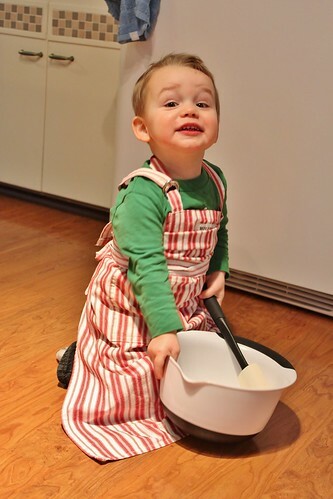 His favorite animal was the aardvark, which he insisted on calling "piggy". 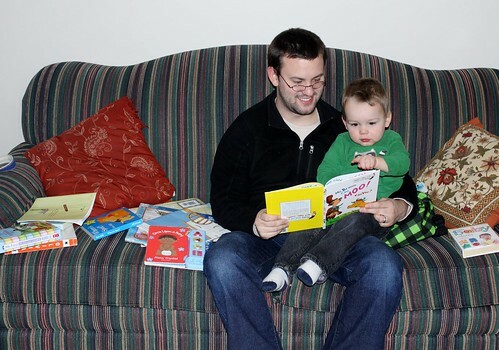 Luke is obsessed with reading these days, and our friends were happy to oblige him. The other entertainment for the weekend was provided by Kyle's many Lego creations, which Luke asked for all day long and managed to play with without destroying completely. What a wonderful Saturday had by all. While cleaning off a desk today, I discovered this photograph a midst a pile of old papers. It was taken in 1998. 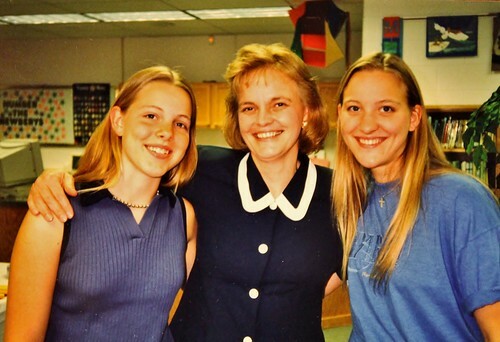 Look at the resemblance between these three stunningly beautiful and obviously very intelligent blondes. Yep, this is going in a frame. Love. Luke and Ian. Best friends. Worst enemies. These two are worse than brothers in the way that they both laugh and fight with each other constantly. 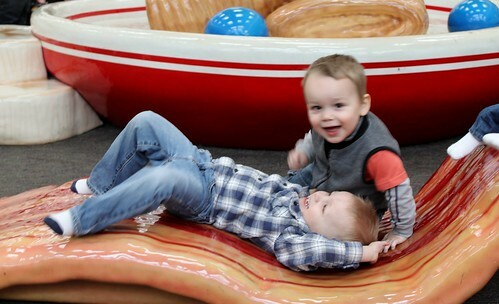 Why is it that, during our 1 hour at the mall play area this morning, Allison and I had to put our boys in time out three times each? I don't see any of the other kids pulling hair, pushing, or biting each other. You would think that these two would learn to just leave each other alone for a while, but as soon as one stops crying, they immediately go back for more. 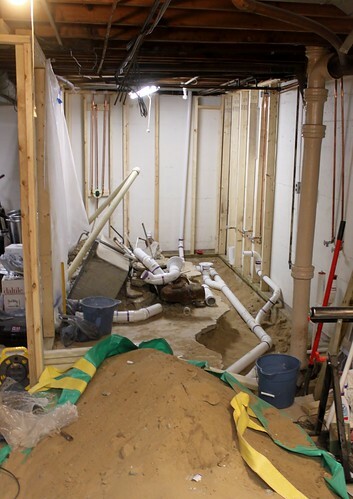 You can now all call Sam "Mr. Amazing" (for those few of you weren't doing so already) because today our basement passed the city's plumbing inspection! This means that Sam is as good as any professional plumber at ... um... doing whatever it is that they do to set up a bathroom from scratch. Our home project is officially onto the next phase: time to shovel all that dirt back in, pour concrete, and start installing the tub and bathroom furniture. As lead cheerleader on this project (yes that is my official title) can I just say way to go Sam!